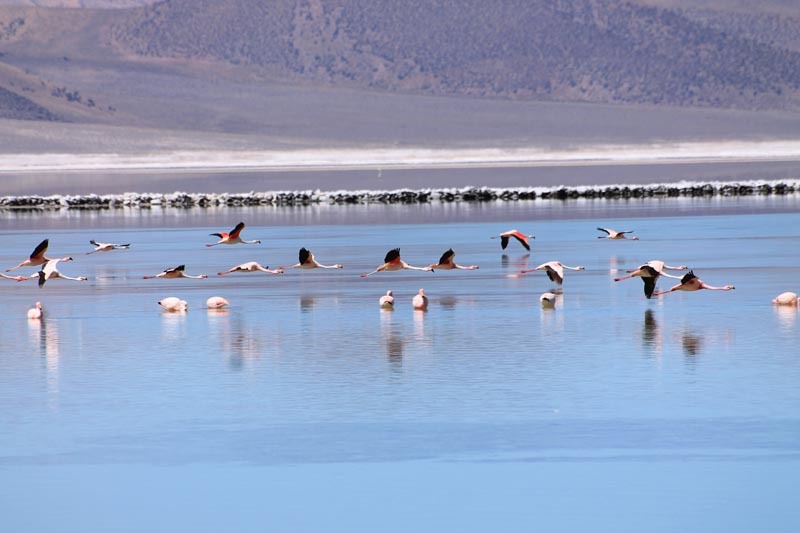 A complete programme connecting the Pacific Ocean, the Lauca Biosphere Reserve with its impressive fauna, the Salar de Uyuni salt flat and San Pedro de Atacama. There will be 2,000 km of adventure. 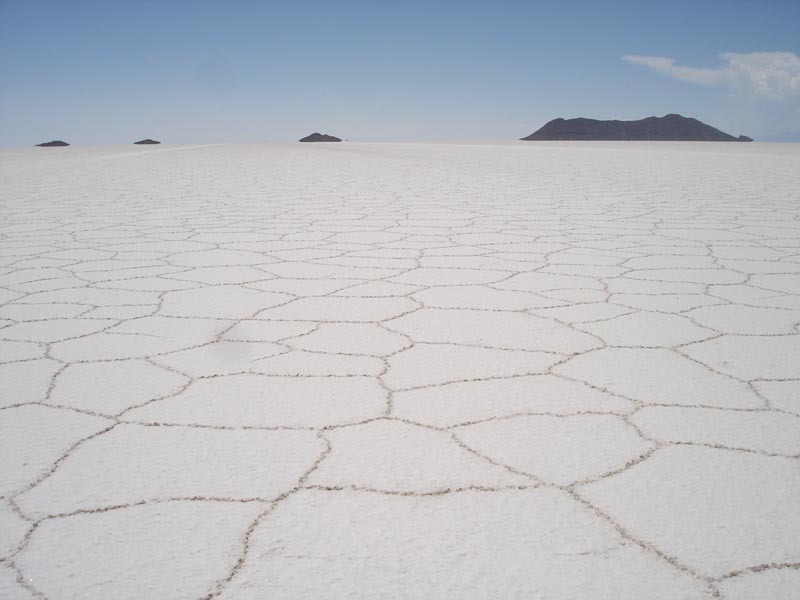 We will visit the oldest mummies in the world, impressive fertile valleys in the middle of the driest desert in the world, the immensity of the Altiplano, the majesty of the Andes Mountain Range, the Salar de Uyuni salt flat with its 12,000 km2, the largest in the world, lagoons of different colours. Ten days of trekking, as well as two summits of more than 5,000 metres. And a unique local team, experts in all corners of the world. 2 summits of over 5,000 metres, fully accessible to everyone. INTERMEDIATE. Programme aimed at people with certain experience in the mountains, who are physically prepared for steady efforts. Walks of between 4/7 hours and 15/20 km. Differences in altitude of between 600 and 800 m. Summits of 5,000 metres without any technical complications. Day 1: Transfer from airport-Arica. Night at hotel. Day 2: Arica-Copaquilla. Archaeological Museum in Azapa. Azapa valley, Lluta valley. Soft trekking to Copaquilla (3,100 > 2,850 m, 1hr). Night at camp. Day 3: Night at hotel. Copaquilla-Socoroma. Short transfer. Trekking from Zapahuira to Socoroma on the Inca Trail (3,300 > 3,060 m, 4.5 hrs.). Night at family hostel. Day 4: Socoroma-Putre. Trekking on the Inca Trail from Socoroma to Putre (3,060 > 3,500, 6 hrs). Night at hotel. Day 5: Putre. Trekking Putre- Jurasi hot springs (3,500 > 4,100 m, 3.5 hrs). Hot springs. Night at hotel. Day 6: Putre-Parinacota. Transfer to Parinacota. 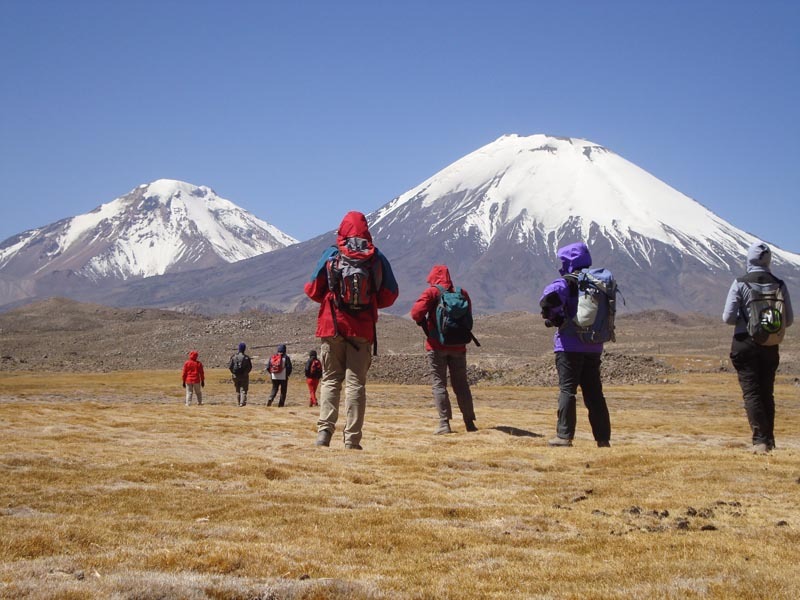 Trekking Parinacota- Cotacotani Lagoons (4,400 > 4,500 m, 4.5 hrs). Visit Chungará Lake. Night at family hostel. Day 7: Parinacota-Salar de Surire salt flat. Transfer to Salar de Surire salt flat. Soft trekking along the border of the salt flat (1.5 hr at 4,250 m). Hot springs. Night at camp. Day 8: Surire-Colchane. Ascent Chihuana Mountain (5,300 masl, 6 hrs there and back). Transfer to Colchane. Isluga Vol National Park. Night at family hostel. Day 9: Colchane-Jirira. Customs to enter Bolivia. Salar de Coipasa salt flat, Salar de Uyuni salt flat, Lomo de Pescado Island, Incahuasi Island. Trekking at Salar de Uyuni salt flat (3,650 m, 1 hr). Night at family hostel. Day 10: Jirira-San Juan. Visit mummies cave, trekking “Thunupa Viewpoint” (4,000 > 4,300 m, 2 hrs). Crossing of the Salar de Uyuni salt flat north-south. Night at hotel. Day 11: San Juan-Ojo Perdiz. 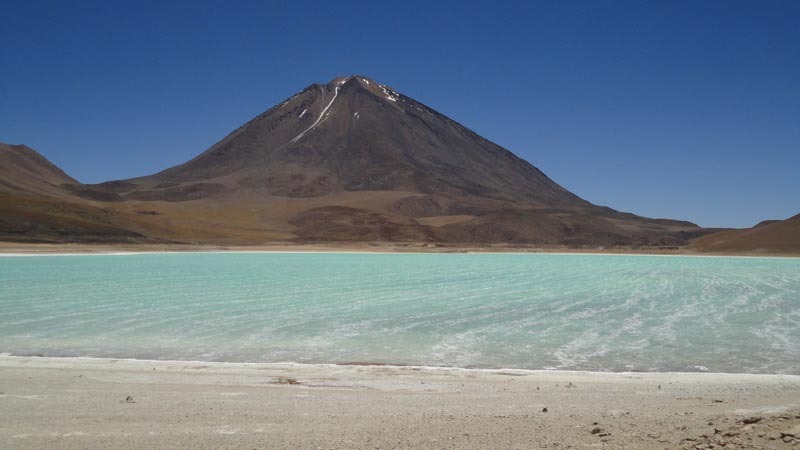 Salar Chiguana salt flat, “Jewels in the Altiplano” Lagoons. Short walk at Hedionda Lagoon with pink flamingos. (1hr at 4,300 m). Night at hotel. Day 12: Ojo Perdiz-San Pedro de Atacama. Arbol de Piedra (Stone Tree), Colorada Lagoon. Small walk along the shore of Colorado Lagoon (1 hr, 4,400 m). Sol de Mañana Geysers, Salar de Chalviri salt flat, Rocas de Dalí (Dalí Rocks), Laguna Verde, Licancabur Vol, Laguna Blanca, border. Transfer to San Pedro de Atacama. Free afternoon. Night at hotel. Day 13: San Pedro de Atacama. Morning: Trekking Katarpe-Cordillera de la Sal salt mountains-Valley of the Dead (2,450 m, 3 hrs). Afternoon: Valley of the Moon trekking (3.5 hrs). Night at hotel. Day 14: San Pedro de Atacama-Laguna Legía. Visit Toconao, Laguna Chaxa, Salar Atacama salt flat. Transfer to Laguna Legía. Night at camp at the foot of Lascar Vol. Day 15: Laguna Legía-Lascar Vol-San Pedro de Atacama. Ascent Lascar Vol (5,000 > 5,500 m, 5 hrs there and back). 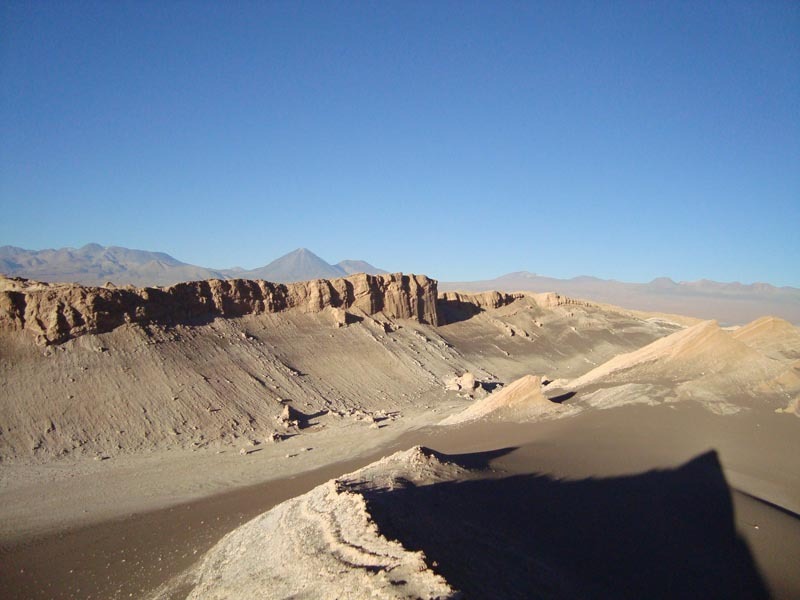 Return to San Pedro de Atacama. Night at hotel. Day 16: San Pedro Atacama-Tatio-Caspana. 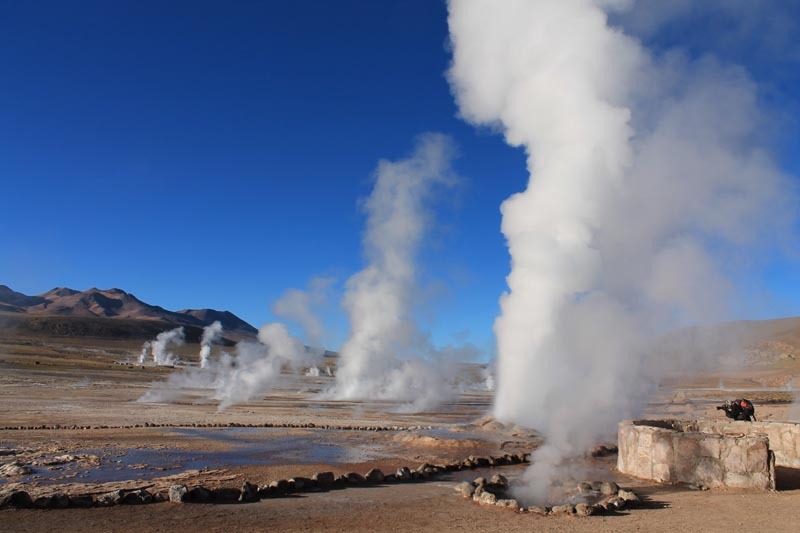 Very early transfer to Tatio geysers. Thermal bath. Transfer to Caspana. Descending trekking to Caspana (3,700 > 3,300 m, 4.5 hrs). Night at family hostel. Day 17: Caspana-Calama. Transfer out Calama airport.